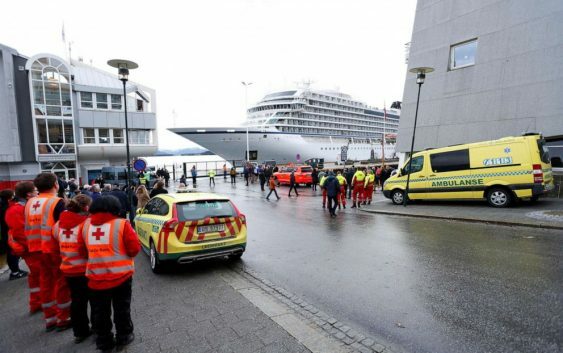 After an engine failure and major evacuation efforts, the Viking Sky cruise ship safely docked in the port of Molde, Norway, on Sunday, bringing a high-seas nightmare to an end. 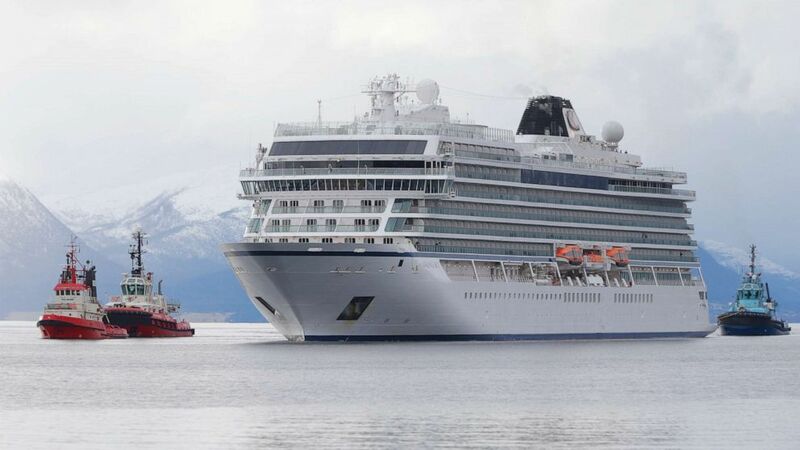 (Svein Ove Ekornesvag/NTB Scanpix via Reuters) Viking Sky cruise ship arrives in Molde, Norway after engine problems, March 24, 2019. 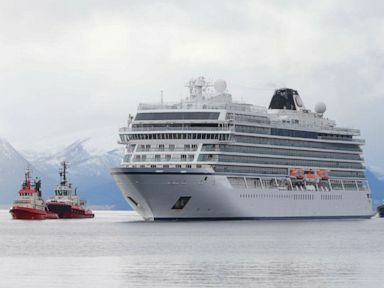 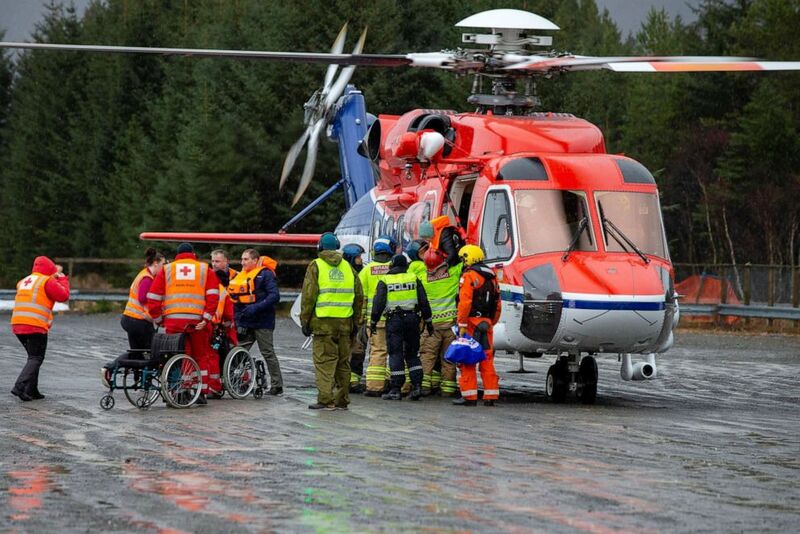 After helicopter rescues on Saturday, Viking said that 436 guests and 458 crew members remained on board. 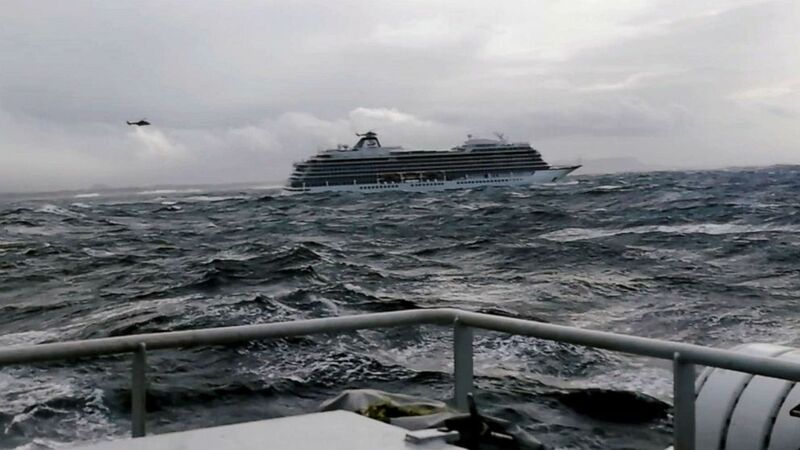 The vessel regained power on Sunday morning, and Viking Cruises tweeted the that the ship was headed to the nearby port. 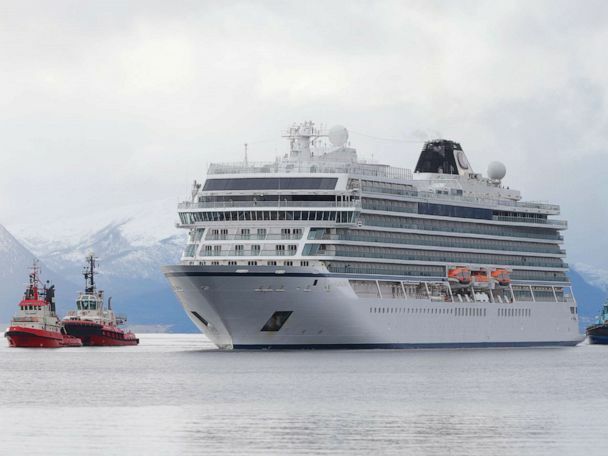 (Iver Andreas Tuene via Reuters) The cruise ship Viking Sky drifts towards land after an engine failure near Hustadvika, Norway, March 23, 2019. 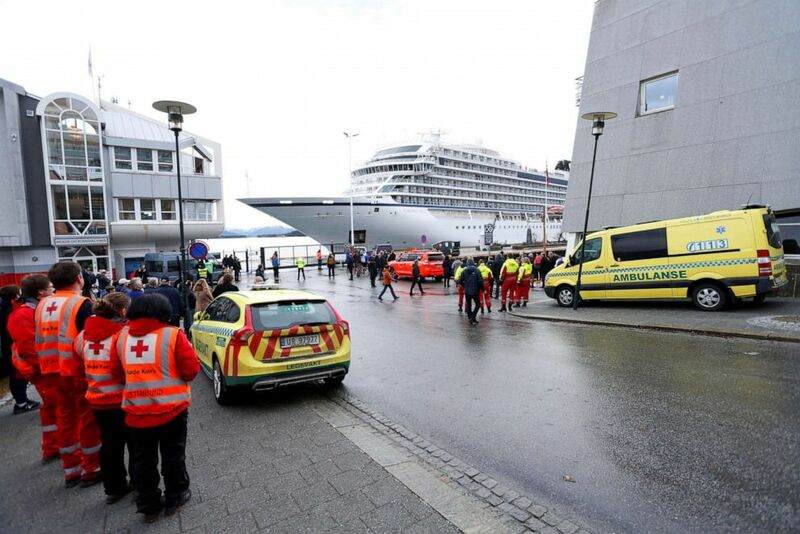 (Svein Ove Ekornesvag/NTB SCANPIX via Reuters) Passengers are helped out of a rescue helicopter after being rescued from cruise ship Viking Sky in Hustadvika, Norway, March 24, 2019. 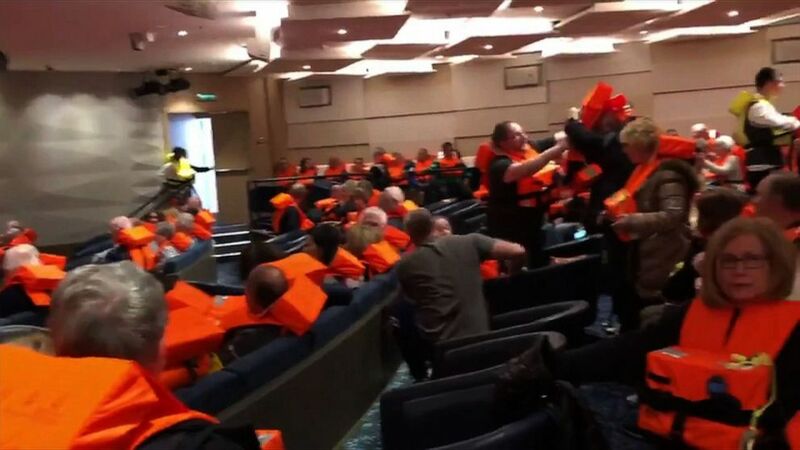 (Alexis Sheppard/AFP/Getty Images) This image grab from a handout video made available to AFTV, March 24, 2019, by a passenger onboard the cruise ship Viking Sky shows fellow passengers gathering in a room with life jackets after the cruise ship ran into trouble in rough seas off the Norwegian coast.